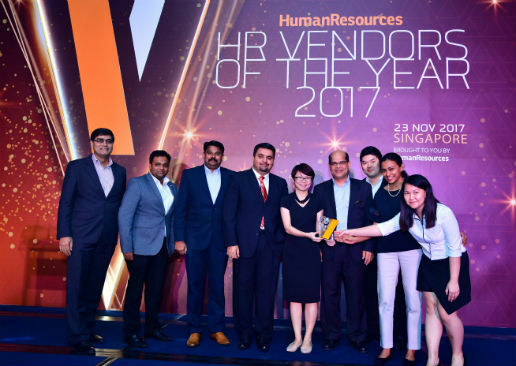 Chennai: For the third consecutive year, leading Global HCM and Payroll software provider, Ramco Systems clinched awards for its Human Capital Management (HCM), Global Payroll and Talent Management software at the 2017 HR Vendors of the Year Awards held in Singapore, Malaysia and Hong Kong. Ramco beat global vendors to win three Gold, three Silver and a bronze award. Organised by Human Resources magazine and judged by industry leaders, the HR Vendors of the Year Awards are one of Asia’s largest events dedicated to HR solution providers. The awards capped off a highly successful year for Ramco with its HCM software winning several recognitions in the last 12 months, including: Best Talent Management Solution at the 2017 Frost & Sullivan Excellence Awards; ‘Highly Recommended Payroll Software Supplier of the Year’ from Global Payroll Association; as well as placements in Forrester Wave for SaaS HRMS and Gartner Magic Quadrant for Cloud HCM Suite. “While Singapore is home to our innovation lab, Malaysia has the second largest operations, outside India. With legal entities in and presence across Australia, New Zealand, Hong Kong, China, Philippines, Malaysia, Singapore, Indonesia, and Vietnam, we are strongly positioned to grow in the region. Testimony to this success is the recent wins from Global BFSI major for consolidating multi-country Payroll for 14 countries; winning the trust of a Global top 5 Logistics major for unifying HR operations across 13 countries, and addition of Europe’s premium brewery brand to our growing clientele” he added.